Our good friend Gordon Reid and in collaboration with designer Callum Stephenson have set up a fun World Cup project. For this project they have commissioned 20 artists and designers from Yarza Twins, Velvet Spectrum, Brand Nu, Hey Studio, Craig Oldhamm, and to name a few. Why? To celebrate their favourite weird or hilarious moment from previous World Cups. All of the original pieces are then to be printed on beer mats and ‘exhibited’ in pubs around London in time for the World Cup. Check it out! We invited twenty leading designers, illustrators and creatives to celebrate their favourite hilarious, weird and wonderful moments of previous World Cups by creating a piece of work to represent that moment. 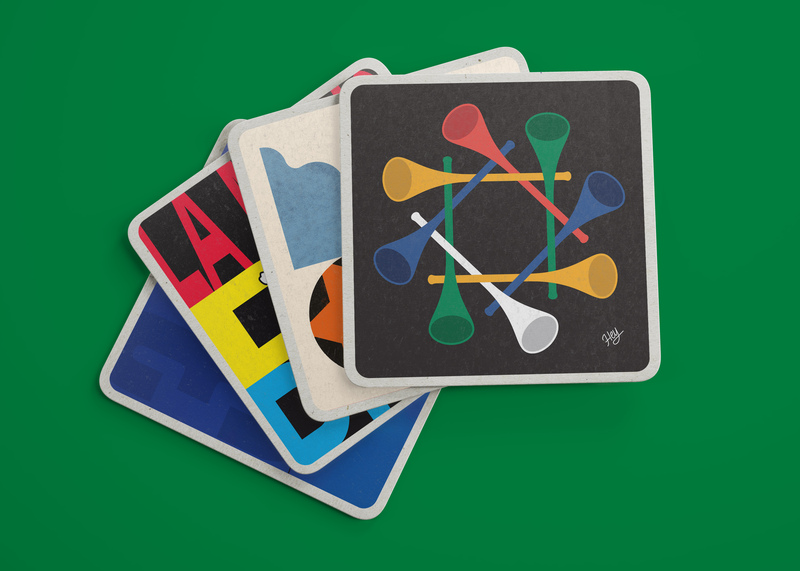 These pieces have then been printed onto limited edition beer mats and are being ‘exhibited’ in pubs around London right in time for the World Cup. All of the money raised will be going to a charity we love, Football Beyond Borders. They are currently fundraising for a new multi purpose space in the Angell Town Estate in Brixton where the plan is to turn this space into an office, an FBB learning hub used for non-FBB Schools programmes and a safe haven for young people in London from disadvantaged backgrounds.